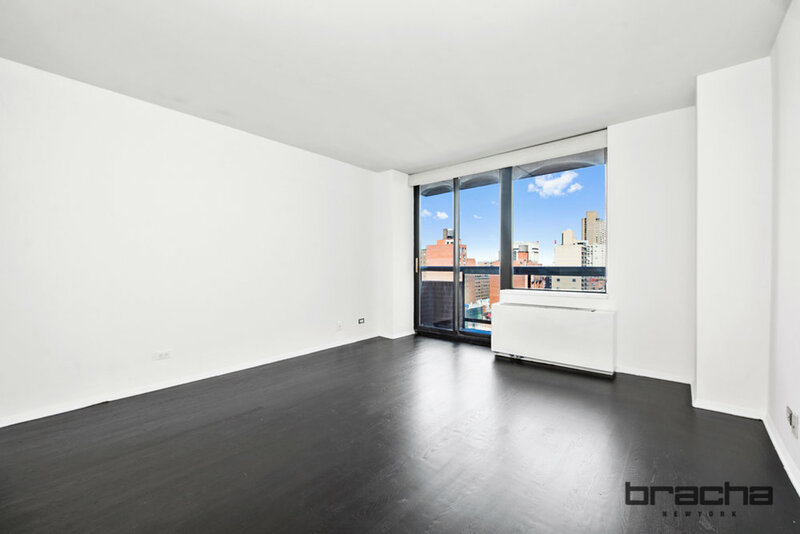 This newly renovated sun-drenched and spacious studio is generously proportioned, has ample storage space, and features a grand private terrace with sunny Eastern exposure and expansive skyline views. The apartment features rich hardwood floors, and a fully renovated Pullman kitchen with completely brand new high-end cabinetry and a full suite of stainless steel appliances. This is a pet-friendly boutique condominium with full-service doorman, a Super, bike room, additional storage, and on-site laundry room. Located in the heart of the Upper East Side near countless restaurants, boutiques, cafes, Equinox, Wholefoods, and transportation including the F, N, Q, R, W, 4, 5, 6 trains. Perfect investment property, primary residence or pied-a-terre. This unit is also being sold alongside the adjacent one bedroom unit #1204 and can be purchased as a package.